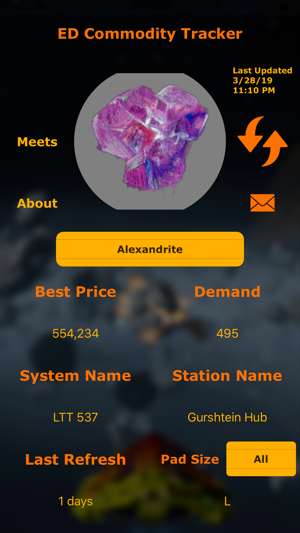 ED Commodity is an evolving app that shows the Top Prices for a list of commodities. You can also see a list of the Top Stations. 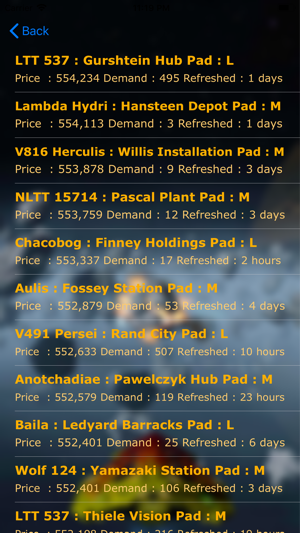 You can update the who commodity Data and also email your feedback and feature requests. For CMDR's who want to try and meet other CMDR's in their local area, there is also a link to , Cenalife, another App that will help the Elite Dangerous Community improve their social interaction.